The Irish Center of Kansas City is pleased to welcome The John Byrne Band to Drexel Hall on Thursday, May 31 for a one-of-a-kind-event that celebrates legendary Irish band The Pogues’ with an evening of covers and original songs. 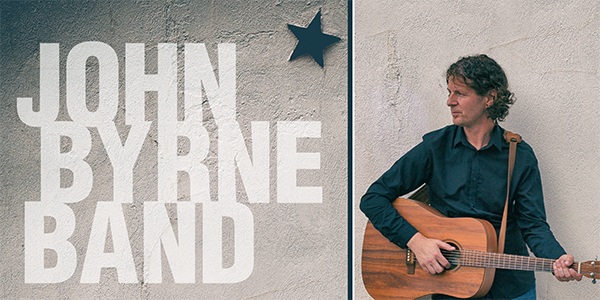 The John Byrne Band is led by former Patrick’s Head front man and Dublin native John Byrne. A prolific singer-songwriter, Byrne expertly blends heart-wrenching, autobiographical lyrics with Irish folk music. Critics and audiences alike have hailed his Bob Dylan-esque songwriting that blends effortlessly with the musical traditions of his native and adopted homelands. He has previously performed in Kansas City at Folk Alliance International and Browne’s Irish Marketplace. General admission tickets to the show are $15.